The editors say: Readers should note that this article was published on 1st April before 12pm!!! After a Dispatches documentary last night criticised his handling of public grants, Tower Hamlets mayor Lutfur Rahman has received backing from an unlikely quarter. Blackburn MP and former cabinet minister Jack Straw has criticised borough bigwigs for engaging in “gutter politics”, and declared that “Lutfur is rolling out the sort of progressive programme that I’m in favour of Labour councils initiating”. Straw is known to be close to Lord Patel of Blackburn, who endorsed Rahman’s mayoral bid in 2010. Senior party figures including Keith Vaz and Ken Livingstone have spoke warmly of Rahman despite his expulsion from the Labour party. 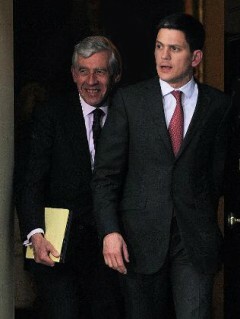 But Straw’s intervention is significant as he is an ardent party loyalist and strongly associated with New Labour. Though Lutfur backed David Miliband in the 2010 leadership election (before his expulsion), his defenders have usually been associated with the left of the party. A number have now left to join his new electoral platform, Tower Hamlets First. Straw was speaking at a panel discussion on community organising last night, hosted by the think tank Trinitas. During questions from the floor, a member of the public said she was “tired of all the mud-slinging over barbecues and Bangladesh in my borough Tower Hamlets”. She went on to mention the documentary, fronted by the BBC’s John Ware, that was airing simultaneously. I’ve heard a lot about what’s been happening in Tower Hamlets. I heard about this documentary earlier today, but everything else I’ve heard about [the borough] has been overwhelmingly positive. 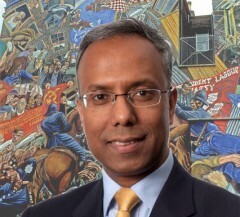 Tower Hamlets, erm, Lutfur Rahman sounds like a true progressive. Lutfur is rolling out the sort of progressive programme that I’m in favour of Labour councils initiating. We need to find pathways to get away from the gutter politics that dominates in quite a few different areas. My Struggle? How will they market that in Germany? Of course Straw relies on Muslim votes in his constituency so he is going to say this. My family still live in Tower Hamlets so I know he is talking rubbish. If Milliband can’t control Straw and Livingstone he is a laughing stock and is guaranteed to lose the next election, simple as that. On the other hand someone just called me from the Isle of Dogs to say it was an April fool joke. I hope so. We don’t have April fools day in Spain and I forgot. Please someone tell me I fell for it! Three words into the article and a major error already. It was Panorama NOT Dispatches. 2 great programmes yestday Nigel Farage; An idiots Guide to Europe and Lutfur Rahman; Clansman whos got the bangladeshi vote sewn up. But then whos fault is that? Blame the voters, the non voting voters. The point is Mayors have different powers from Leaders of Councils and he’s exercising them, just like Boris. And Rahman is defintely known in TH unlike a lot of anonymous nondescript politicians from all sides. Thats why there should be more Mayors, not just 13, and they all need to be held to account. Farage got an award for Silly B***r of the Year from Boris at the Spectator Awards, but he came across as a city/country gent who spends a lot of time in pubs and Gentelmens Clubs, and he smokes. So definitely not a good role model. UKIP Conferences were full of geriatrics, even more so than Labour conferences. The form of the argument about Rahman is of critics saying that he is flouting established democratic procedures and avoiding normal scrutiny while defenders say that he is doing a good job on housing etc. This is not a serious discussion and this article contributes nothing to it. I watched the Panorama programme. I am well aware of how biased and unfair such programmes can be. However the programme raised all sorts of potentially worrying issues. I don’t know the truth by I know that the only way to deal with the accusations is by answering them. This article makes no attempt to do so. That sort of defence rather tends to suggest that there is something in the accusations. Can we have a proper investigation? get their noses in the New Labour trough since John Strachey joined Oswald Mosley in creating the New Party in the 30s.Even stranger when you think that this area of the London Labour Party that produced Oona King as M.P. for Betnal Geen and Bow, but whose electorate mercifully came to their senses by electing George Galloway as Respect M.P. for the said constituency. Yup; it certainly has to be an April Fool stunt. I just watched this video which is said to counter the false allegations of the Panorama programme. Why is it, I wonder, that itfocuses entirely showing that Rahman is a local politician who delivers and on the alleged unfairness of his expulsion from Labour. It fails to deal with a single one of the serious accusations of the Panorama programme. Why is that? My suspicions are growing as a result of a defence conducted in this way. Maybe it’s just because it was uploaded before the programme and so couldn’t possibly respond to its allegations. Thanks very much for the link. I followed it and read Rahman’s rebuttal of the accusations made in the programme. Well, actually, he does no such thing. He repeats the claims about all the good things he has done but again does not deal with the accusations except in one case where he simply repeats what he said in the Panorama programme (which even then was clearly not an answer). So this defence, as far as I can see, leaves all the main accusations in place. On the other hand there is a need for a more balanced approach to the whole thing and I think that this is provided by Dave Hill in the Guardian. I know nothing beyond the Panorama programme and a few newspaper articles and don’t feel strongly either for or against Rahman. My main point is still that his failure to answer the accusations in a straightforward and full manner allows suspicions to remain.